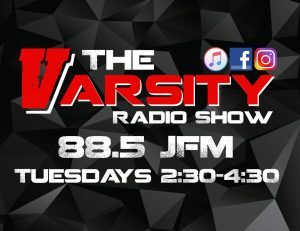 Join Seth Henegar and Ricky Phillips as they bring you “The Varsity.” It’s a show that is geared toward people 12-25 years old. They play Christian Rap, Christian Rock and Worship music. They cover topics that are relevant to the generation and offer solutions of how to deal with certain situations. They interview student athletes, student leaders, FCA representatives & community leaders. Oh, and they have a lot of fun too, with contests and call-ins. Check out their Instagram page by clicking here. Oh, and you can catch the podcast by clicking here.